Dr. Jacquelyn Green grew up in Amarillo and attended the University of Texas in Austin. She earned her D.D.S. degree from the University of Texas Health Science Center in San Antonio. Upon graduation, Dr. Green began working in her mother's dental practice in Austin. They became the first mother-daughter dentists in the state of Texas! 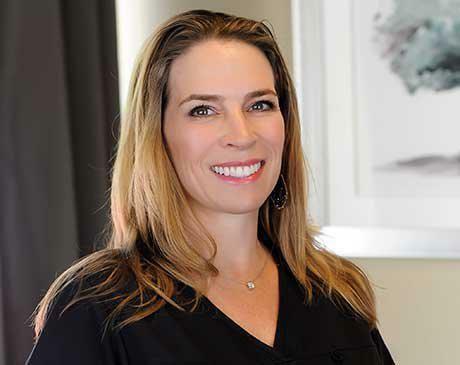 Dr. Green practiced in Austin for 10 years, during which time she was an active member of the Capital Area Dental Society, American Dental Association, Texas Dental Association, and completed CORE Dentistry in advanced education and Seattle Study Club. She also volunteered with Manos de Cristo and Theo Dental Van, organizations that help provide dental care to the economically disadvantaged. In 2010, Dr. Green reconnected with her now husband, Kyle, married, combined their families of 4 boys, and moved to Dallas. Dr. Green purchased and ran two dental practices before welcoming twins in 2012. At that time, she decided to sell her practices to allow her to have a more balanced life. Dr. Green joined Dental Center of Lakewood in 2017 and brings extensive experience in comprehensive dentistry and a warm personality to all her patients.